A few days ago I told you that I was interviewed by Associated Press TV about what challenges young Canadian fashion designers face and the direction the industry is taking. This is what I wore. I wanted to look serious, and professional but not in a suit. And I wanted hits of colour and something that was playful. Plus I wanted pieces that told a bit of a story, gifts from family, items picked up in my travels. We'll see how it turned out on TV. This is a lovely combination of colors, Natasha. Your coat is quite gorgeous as well. Please tell Nazia that I think this is her best set of photos yet. She keeps getting better! Get that girl a camera! Absolutely DYING over this dress, Natasha! It's so fabulous! The print, the color -- WOW! I think this look will translate very well on T.V....the dress is perfect. Glad I came across your blog via Adored Austin. I look forward to keeping up with you and your style! beautiful dress. I love the confidence in your poses. I love this dress and how you styled it! I'm sure it looked great on TV. I love your choice, the print is fab! 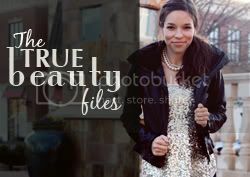 You have a lovely blog and an adorable style! I love the earrings btw. Is Sana and David a Canadian company? Hi Mindy, thanks for joining the site and your kind words. You raise a good point about my labelling "Sana" is my cousin and "David" is her fiancee. :) They are Canadian Pakistan fusion. amazing dress. it's print is just awesome! The dress is amazing! Love it on you and how you put it all together! Brilliant! Thank you for taking the time to do the interview, Natasha...I'll include details about what you were wearing I'm the piece...Aaron. That dress is absolutely gorgeous, and wow from Portugal! I love pieces with memories and special meaning. Thanks so much for linking up to Work It Wednesday, hope to see you back this week! This! I like:):)!!!! very much!